A dedicated piano teacher since 2001, I am passionate about both music and teaching. At my home studio in central Singapore, I teach piano lessons to students of age 5 upwards from beginners to diploma level, with most students in higher grades. I also enjoy teaching homeschool families with a few children taking lessons at their homes on weekday mornings. My goal is to help students enjoy music through refining piano technique and musical expression in a systematic and effective manner. Please read on about graded lessons and read on Diploma Lessons here. Here are some of the Student Achievements to date. As a piano teacher, I aim to develop students who are musically all-rounded and enjoy music, not just able to play the piano or pass exams. I also aim to give ample opportunity to outstanding students to excel. All students are given opportunities to perform for others and to share their music. This motivates students to work towards realistic goals and trains them to perform confidently. Student concerts are organised from time to time for students to share their music with friends and loved ones. Students sit for music exams only when necessary as an objective yardstick of their progress: ABRSM graded exams, Trinity College and ABRSM diploma exams. Diploma students focus either on piano performance or piano teaching. Piano lessons are conducted on weekdays before 7.30pm at Novena. All piano lessons from grades 1 to 5 include music theory, aural and sight reading. Due to the depth and breadth of knowledge required in higher grade theory exams, theory lessons for grades 6 to 8 are taught separately. Aural and sight reading are included. Students needing help specifically in aural or sight reading may take a short course of independent lessons to focus on this. Group theory lessons are conducted on Saturday mornings. 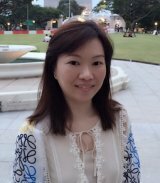 Music lessons with Clara Ong are focused on developing musical students with a good technical foundation. Time is spent on developing a critical musical ear and musical sense in addition to technical work. Many hardworking transfer students experience a significant improvement in their playing within half a year. In many cases, these students start to enjoy the piano and achieve merits and distinctions once out of their reach at ABRSM exams. Higher grade and diploma students are preferred though committed students at mid and lower grades are welcome too. Students beginning lessons need to have an acoustic piano to practise on. Please feel free to enquire should you need any help. To enquire about lessons with Clara, simply click here and send in your form. Students experience greater depth of coaching in musical expression and artistry while keeping pace with technical demands at higher grades. Many transfer students experience technical issues or limited expression on the piano. Once issues are resolved, many students discover their love for playing piano and start to express themselves beautifully and confidently - it is one of my greatest joys to witness this. As a result, most transfer students do significantly better in their higher grades scoring distinctions and merits than in their lower grades. For those who experience technical difficulties due to the demands of the advanced repertoire, I work with them through each challenge in a systematic and patient manner. As a piano teacher, it gives me great joy to see a student overcome challenges and realise that they are 'pretty good at music' after all. If you are experiencing undue tension and difficulty at this level, you may need some help to get it corrected. At the mid grades, fundamental reading skills are strengthened while developing piano technique needed for the upcoming higher grades. Playing a wide variety of pieces allows students to be proficient in a range of musical styles. Beginner lessons focus on building musicality, technical facility and rapport with the student. A strong foundation in sight reading and listening is also built from the earliest lessons. Typically, lessons are fun and interactive with many different activities in the lesson time. Parents of young children may sit in to take notes and follow up with the children between lessons. There is a long term view to learning and regular practice and progress is expected on the part of the student. Encouragement and patience from the piano teacher and parents helps anyone starting out to put in their best effort!